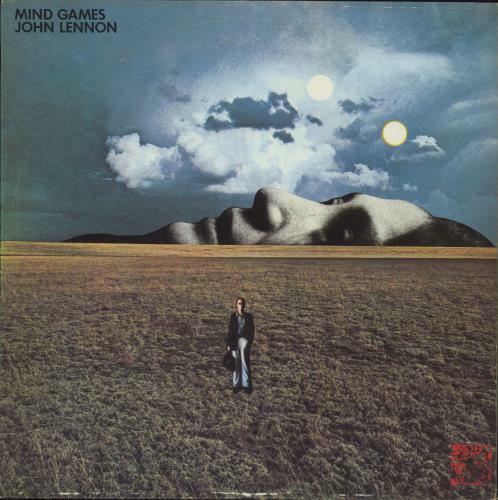 JOHN LENNON Mind Games (1973 UK first press 12-track vinyl LP with 'An Apple Record' label text, matt picture sleeve with shape-cornered lyric inner. The sleeve has some light edgewear [tiny corner split] and the vinyl is in excellent condition with merely a few light signs of play PCS7165). or visit our John Lennon image gallery.